Focus on Multi-layer Blow Molding Machine! 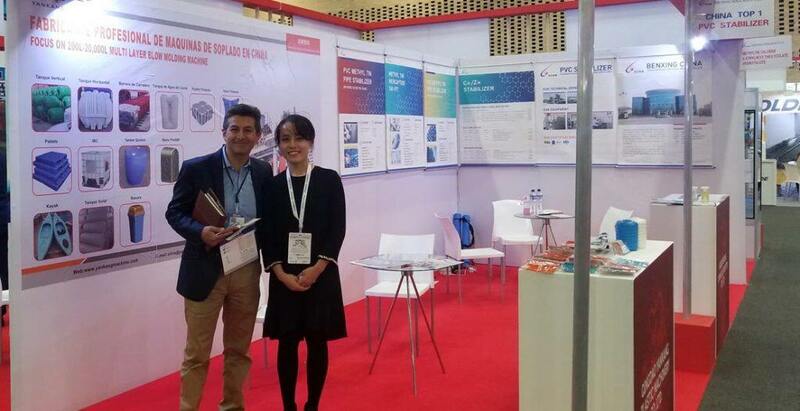 September 24-28，Yankang attended the plastic machinery exhibition named 2018 COLOMBIAPLAST-EXPOEMPAQUE. 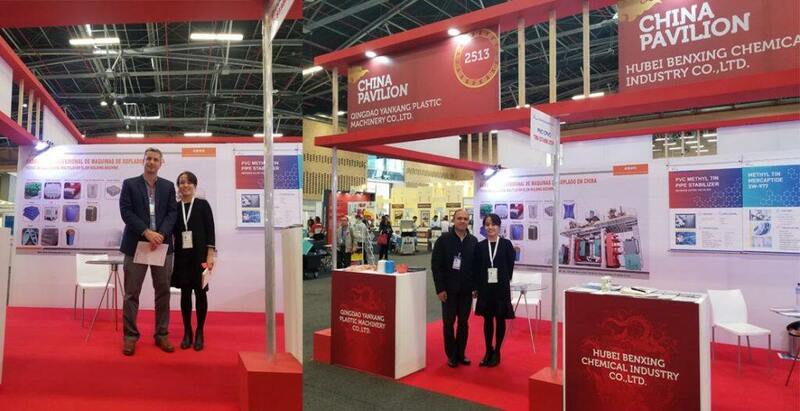 At this exhibition, Yankang attracted many visitors. As the biggest water tank blow molding machine manufacturers in China,Yankang holds a number of international leading technologies. The use of servo-hydraulic system：compared to the traditional hydraulic system, safe and efficient, saving more than 40%.And it’s less noisy. Innovative die design:using advanced electromagnetic induction heating system, safe and reliable, reduce heating time, accurate temperature control, high efficiency and energy saving, improve efficiency, can save energy 30% -50%. Automatic die change equipment:more than 10000L super-large blow molding machine adopts the latest research and development of automatic die change equipment, easier, safe and efficient replacement of the mold. Remote service：easier to check machine running conditions, cycle times, output,reminding for machine maintenance. Real-time monitoring is convenient for supplier to check the machine faulty and judge the machine problems. Visitors are also focused on the new kayak blow molding machine.Kayak 2 layers blow molding machine(click it for more information) is the latest product developed by Yankang Plastics Machinery.The size of the kayak produced is 3150mm*810mm*290mm,12~14PCS/H.The production rate is considerable. In addition, foaming technology (click it for more information)has also been recognized by many potential customers. 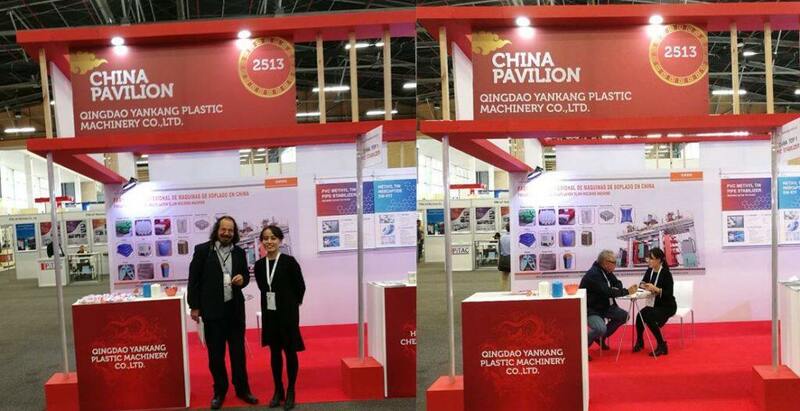 Yankang Plastic Machinery looks forward to cooperating with you.